Motownphilly's back again - doin' a little Vegas swing. 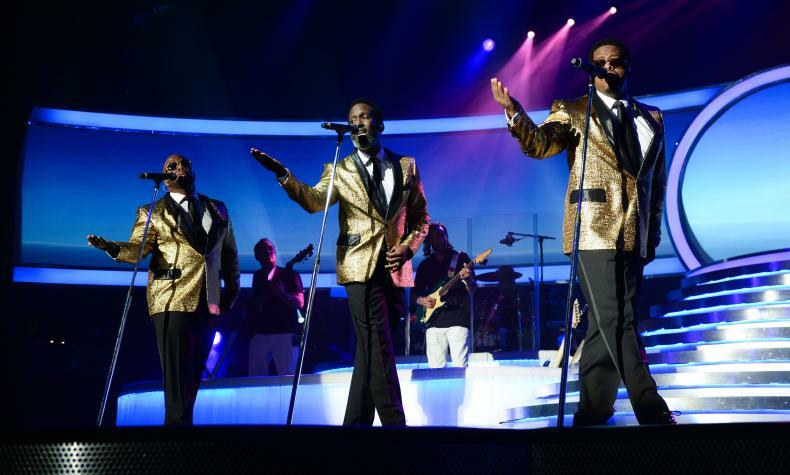 One of the most successful R&B vocal groups of all time, Boys II Men sold 60 million albums worldwide. The group had a string of No. 1 hits in the '90s, including "End of the Road," "It's So Hard To Say Goodbye to Yesterday," "I'll Make Love To You" and "On Bended Knee." On Jan. 5, 2012, Boyz II Men were awarded a star on the Hollywood Walk of Fame. The trio continues to tour around the world. Other albums include "Nathan Michael Shawn Wanya" (2000); "Full Circle" (2002); "Throwback, Vol. 1" (2004); "The Remedy" (2006); "Motown: A Journey Through Hitsville USA" (2007); "Love" (2009) and "Twenty" (2011). "Twenty" debuted at No. 20 on the Billboard 200. See their residence show at the Mirage!